I did it. 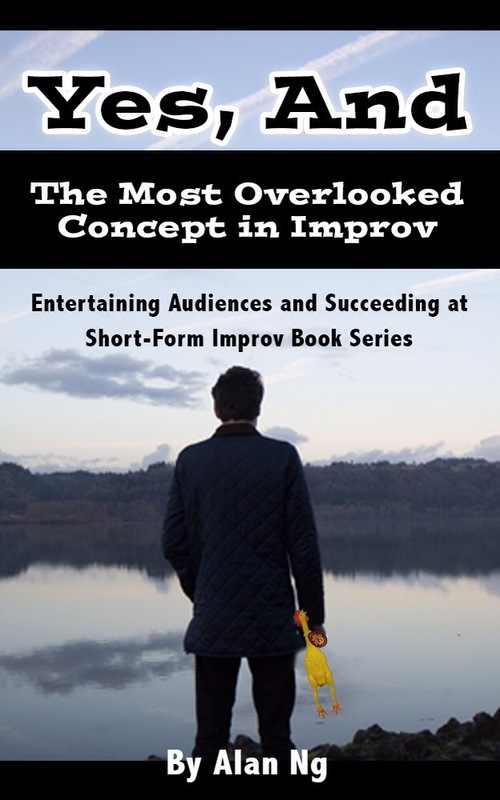 I finally published my first book – Yes, And: The Most Overlooked Concept in Improv. It’s available exclusively on Amazon and for the Kindle. I’ve been a professional improvisor since 1994 and I currently perform with the National Comedy Theater in San Diego. When I first started, improv was just starting to become a popular art form. I love improv comedy and I believe that anyone can do it. It’s my passion to share what I’ve learned about this art form and elevate the artform. The concept of “Yes, And” is the foundational principle in improv. The problem is it is one of the most overlooked concepts in improv shows today. My book takes an in depth look into “Yes, And.” I deconstruct the principle. Show you how we’ve misused it and neglected it. I also show you how to master the principle to improv your improv group and show. “Yes, And” is the first in a series of books designed to help you produce a short-form improvisation show. Purchase your copy now at Amazon for the low price of $2.99.